To go into foster care is to hand your entire life to chance. It's terrifying to look back on how different your life could've been if just one decision had been different. I've been extremely lucky - in late 2016 I was given an emergency foster placement that has now become my permanent home until I'm at least 16. I'm confident that my foster family will give me the support I need in the future - in the four months I've been here they've already fought my corner multiple times. But a worrying amount of young people don't have the positive experience I've had. If I'd ended up in an endless cycle of short term placements, like too many teenagers do, chances are I just wouldn't have the same support going into the future. A quick look at education statistics reveals a worrying trend. Only 15% of looked after children get 5 GCSEs at grade A*-C, compared to 70% of the general population. At a higher level, only 7% of care leavers go to university, compared to 40% of the general population. 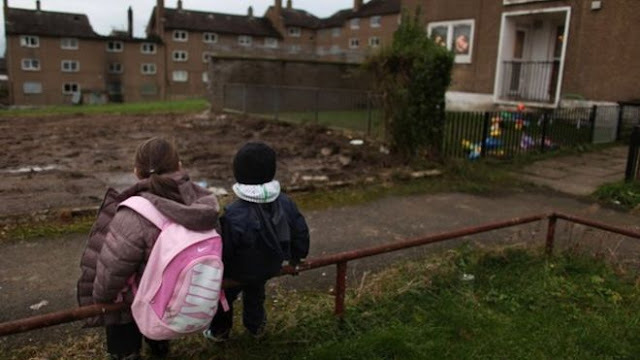 Quite simply, this country is failing its looked after children. It's clear there's still more to be done - while schemes like the pupil premium help vulnerable young people out on a daily basis, this attainment gap is likely to worsen as the funding for state schools decreases. It's simply unfair that only 15% of looked after children will get the right grades to progress on to the college courses that most other people their age can access. Why are we allowing some of the most vulnerable children in our society to have their options cut off at such a young age? This education gap has clear, serious consequences. 41% of 19 year old care leavers are not in education, employment or training, compared to 15% of all 19 year olds. 1/4 homeless people spent some of their childhood in care, and 1/4 of the prison population did too. Along with this, care leavers are more than four times more likely to self harm in adulthood. Why are so many looked after children facing such bleak futures, often so early into their adult lives? When we look into the support care leavers receive, this becomes a little more clear. According to Ofsted, 64% of care leaver services are inadequate or require improvements. While 50% of 22 year olds still live with their parents, the local authority has no duty to support care leavers past their 21st birthday. Imagine being just one year into your twenties, completely on your own with nobody to fall back on. Every year approximately 10,000 16-18 year olds leave care - in what world are 16 year olds prepared to be so independent? The challenges care leavers face would be hard for any young person to deal with, regardless of their background. But when we factor in that 62% of children in care have faced abuse or neglect, and only 50% have emotional health and behaviour that is considered normal, it's obvious that too many young people will be facing issues they are completely unprepared for. This is an absolute disgrace and the government and local authorities must step up and do something. I'm severely concerned that outcomes will deteriorate for looked after children in the future due to the shortage of foster placements - we need to act now before it's too late.